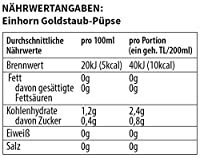 Le prix et la disponibilité du produit sont corrects en date du 2019-04-23 00:04:48 CEST et sont sujets à changements. Toute informaiton relative au prix ou à la disponibilité affichés pour http://www.amazon.fr/ au moment de la commande sera d'application lors de l'achat de ce produit. Yogi Tea's story begins in 1969 when Yogi Bhajan, an inspired and inspiring teacher of holistic living, started teaching yoga in America. He shared the wisdom and knowledge of Ayurveda and healthy living that he had mastered in India with his students while serving a specially spiced tea, which they affectionately named "Yogi Tea." The recipe contained five traditional Ayurvedic spices: cardamom seed, cinnamon bark, clove bud, ginger root and black pepper. When blended and brewed, these delicious spices leave you feeling vibrant and alive, while boosting overall well-being. Intrigued by the complex flavor and inherent health benefits of this unique combination of spices, it wasn't long before several of the yogi's students were inspired to brew their own "Yogi Tea." In the warmth of the mountains of South Africa, the Rooibos plant grows hanging onto cliffs and absorbing the intense sunlight. In the last decade, Rooibos has gained popularity around the globe for its light, flowery taste and its reputation as a natural anti-oxidant. 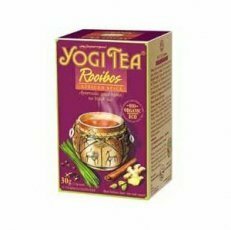 This Yogi Tea variety blends Rooibos with our famous 'Classic' spices, creating the essence of joy, serenity and warmth.